So, we will dedicate this week to our tummies. Beware, in addition to the fitness regime targeting that area, we are going to put in place some healthy habits I would like you to stick to for the entire duration of the 30 day program, in fact even afterwards. Drink a freshly squeezed lemon juice in room temperature water first thing in the morning. Or, if you don’t like the taste of lemon, the juice of a freshly squeezed pink grapefruit will have the same effect. Drink a cup of sobacha® (roasted buckwheat infusion, I am such a fan that I registered the trademark!). Take a 30 mn walk on an empty stomach every day. Either before breakfast, before lunch or late afternoon before dinner. Add a 30 min cardio workout (walking counts) in your day to reach a total of an hour or 10,000 steps, your choice. Now that we have established good daily habits, Let’s tackle your abs. I won’t go into detail about what different muscles make our tummies but I can assure you we will target all of them. You will have two coaches for the price of one, Alexia Cornu an amazing fitness coach whom I adore and myself your loyal coach ! Our dream team will give your abs no rest over the next 7 days. Do not let those telling you muscles need rest put you off, we aren’t working out for the Olympic Games, it is perfectly OK to do a little ab work every day. I recommend you simply practice a 9 minute routine each day. That is enough! And no we won’t be doing any crunches as they are very bad for you ladies. Alright ! let’s get going ! keep your back flat (no arching and no round backs) it is the same position as before but held for a whole minute. If a minute per exercise seems too long for you, start out with 30 sec and increase progressively to a minute adding a few second more each day. There you are, do this every day or more to win the challenge. Don’t forget to share on social media (@lebootcamp on twitter, @valerieorsoni on instagram and facebook.com/lebootcamp pour FB) and write in the comment section below about how you got on every day. A big thank you to Alexia Cornu, sports nut and former athlete. 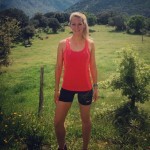 She has female personal coaching qualifications and specialises in Nordic walk. She is a graduate from the université des sciences du sport and a personal fitness trainer since 2010. Hey! can’t wait to get started! Already up to speed with the lemon, sobacha and daily hour cardio today. I don’t have a swiss ball so I only did the 3rd exercise fron the video with a pilates magic ring between my hands. As I find it hard to do 1 whole minute of each I hav decided to do 2 1/ sessions in the day unti I have built up my strength. That way I still do my 9 minutes (and hopefully more soon) in the day. I’ll post my measurements tomorrow! great job! You did the right thing when it is too hard to do a full minute you can totally split up the minute in 3 x 20 or 4 x 15 even 🙂 keep up the great job! OMG those are some great ab exercises. My abs didn’t know what hit them. It’s definitely bikini weather here in sunny California and these will help for sure to get me in shape. Did 90 minutes of cardio today before it got too hot! Can’t wait to see what my abs look like in 30 days, thanks for the challenge! great job! Do it every single day for 30 days and you will be impressed by the results 🙂 kudos’! Did my cardio early this morning. Five miles of hill climbing and two more doing interval running. Did my ab workout later In the day and felt a bit soar already from the previous nights ab session. Do you have a good ab stretch? I have a feeling I will really need it tomorrow. 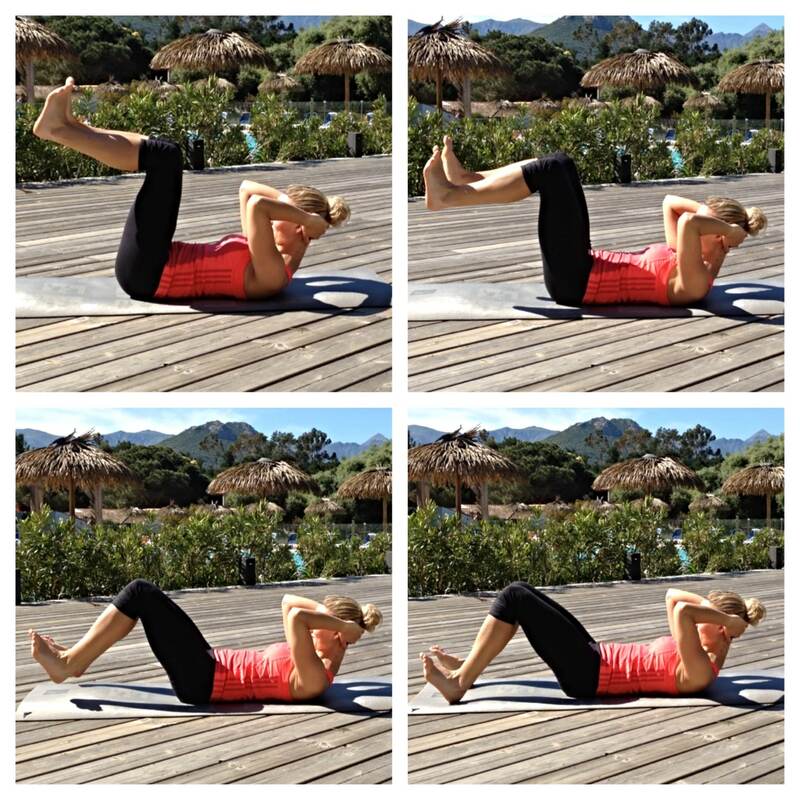 Great variety of ab exercises and not too tedious. to do: get a swiss ball…. I have the feeling we might need it for more exercises over the next few weeks…. maybe? I’m like you Valerie, my tummy tends to be more or less flat (not ripped like yours, but I am working on it haha) so I am happy to say I can see results already hurray! you already have very good numbers! Knees…..you can target them with cardio and special knee squeezes to tone up this area. I have been good. Proud of myself even. Did 7 min the first day and the 2nd day and then today I just completed the 9 minutes. I do FEEL IT! I am seeing my abs getting ripped by the minute. Literally! Thaks for this great pg! These are fantastic and so simple to follow – I love the starfish! Thank you coach! Wow this is getting easier. Still don’t have an exercise ball but doing 35 of each exercise and a total of 3 mn of plank. Never thought it would come so quick. I find the star fish hardest though.